As Nobel laureate Paul Krugman famously noted: "Productivity isn't everything, but in the long run it is almost everything." It is the ultimate driver of prosperity and living standards. A loss of momentum in this area can cause slow-motion damage to an economy over time. Despite Singapore's impressive economic track record, Singapore runs the risk of hitting a wall unless a major uplift in productivity occurs. Almost half of the country's recent economic growth has been driven by an expansion of the workforce, but this boost is diminishing as the population starts to age. Productivity, the other major component of economic growth, now needs to pick up the slack. 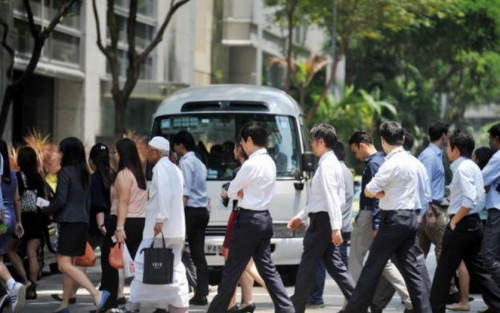 In order to maintain the economic growth it has enjoyed since 2000, a recent McKinsey Global Institute report estimates, Singapore will need to increase its output per worker 2.6 times faster than its historical pace - or in other words, at 5.8 per cent per year. This sets the bar at a daunting height. Singapore's government has set a target of 2-3 per cent annual productivity growth through 2020 - and most advanced economies have managed to exceed gains of 1.4 per cent only in exceptional boom periods. Thus far, Singapore's actual productivity performance came in flat last year after a two-year decline. It will be increasingly difficult to wrest new efficiencies from an economy that has already reaped the benefits of industry modernisation and technology adoption. New innovations continue to appear on the technology front, but as other advanced economies have discovered, the most recent wave has produced diminishing returns to productivity. The task of continuously capturing new productivity improvements grows more difficult over time - but it is achievable. In fact, a comparison of how individual sectors in Singapore perform when measured against their counterparts in the United States reveals that matching these international standards leaves Singapore ample room to make gains, particularly in sectors such as construction. So what does Singapore need to do differently to achieve this productivity uplift? The government has launched a number of productivity initiatives, ranging from capital investment incentives to worker skills training. All of these are necessary, but not sufficient, to achieve the 2-3 per cent annual productivity growth target. Three additional areas may warrant further focus to achieve this target - improving managerial quality, supporting behavioural change that enables more productive behaviour, and ensuring there is a vigorous level of competition in domestic sectors. The Centre for Economic Performance at the London School of Economics has examined the relationship between management quality and firm performance in countries across the world. The assessment of management quality focused on manufacturing firms, and included four dimensions - operations management, monitoring management, targets management, and people management. While Singaporean firms performed strongly overall, ranking sixth highest among all countries surveyed, there were large gaps between multinational firms (who performed strongly) and domestic firms (who performed less well). In particular, Small and Medium Enterprises (SMEs) and family and founder-owned firms performed poorly. The data shows that managers who are exposed to global best practices and competition have higher management scores, and - quite tellingly - that bad managers generally don't know they are bad managers. Given the importance of management quality to every company's efficiency, innovation, and overall performance, this is a critical area of focus. Singapore could begin to tackle this issue by introducing widespread benchmarking of firms on management quality (with anonymised averages) so firms could understand where they rank and the key areas they need to improve. The second area of opportunity relates to behavioural change. Economic theory has long since evolved from the notion that people are purely rational decision-makers, yet sometimes economic policy still overlooks these behavioural factors. Simply giving incentives for firms to improve labour productivity by purchasing equipment and upgrading worker skills may not be enough if underlying behaviours don't change as well. For example, why do small restaurants in Singapore still have 20,000 Stock Keeping Units (SKUs), when 90 per cent of the time they use only 100 of them? Recognising the importance of these issues, the UK government has developed the "Nudge" unit, which focuses on applying behavioural economics to policy issues. Singapore could consider similar options to better ingrain behavioural approaches into productivity policymaking. Finally, there could be opportunities to drive productivity in domestic sectors by removing barriers to competition. Competition is one of the most powerful drivers of productivity performance and domestic sectors tend to experience weaker competitive dynamics than export sectors as they are less exposed to the blowtorch of global competition. To address such issues, some countries have established bodies to conduct detailed sector-level analysis of opportunities to boost competition and productivity. In Australia this takes the form of the Productivity Commission. There could be an opportunity for Singapore to establish a similar body to examine potential barriers to competition in sectors such as retail trade, which employ significant numbers of workers, and have a large impact on the cost of living. Singapore has an incredible track record of economic success. In order to maintain that enviable record, the approach to productivity improvement may need to be broadened to include a greater focus on managerial quality, behavioural issues, and competition in domestic sectors.